Ultimate Avenue (2c Excelebration-Dance Avenue, Sadler´s Wells) made light work of a high-class Newbury maiden on Friday to provide more first-crop success for Excelebration. 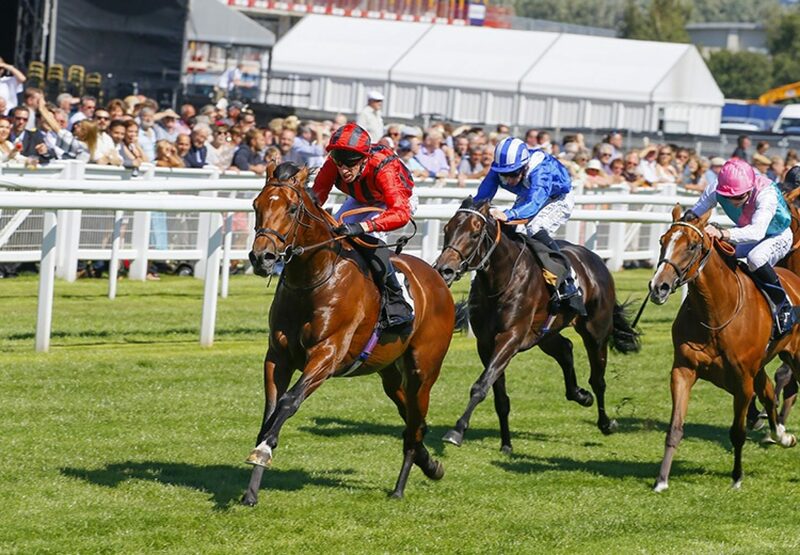 The Ed Walker-trained colt made nearly all the running before powering clear in the final furlong to see off 12 rivals and win by a length and a half. “He is a lovely, big horse and I wouldn’t normally have one of his stature so far forward at this stage, but he’s so natural,” said Walker. “I don’t know what we’ll do as he’s very much next year’s horse and will have learned a lot there. He’ll be a proper horse next year. There’s no rush but maybe something like the Haynes, Hanson and Clark could be an option for him.” Bred by Brian O’Neill, the colt had realised €340,000 at Goffs last year when selling to SackvilleDonald. Excelebration also enjoyed success earlier in the week when Fulminato (2c Excelebration-Fulminante, by Dashing Blade) won a maiden at Bremen in Germany for trainer Andreas Lowe. The €120,000 yearling was bred by Gestut Etzean.